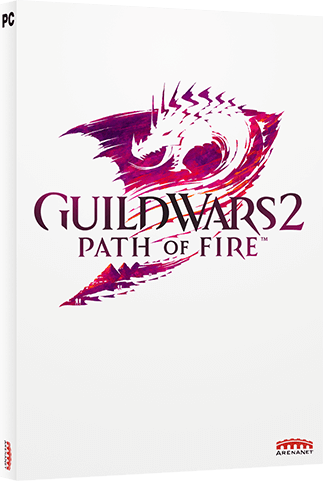 Guild Wars 2: Path of Fire™ is the second expansion for the award-winning game, Guild Wars 2. As the balance of magic comes undone, lead your allies in the hunt for the rogue god Balthazar, whose scorched-earth campaign threatens the very existence of Tyria. Humanity has worshipped the six gods for centuries, even as their prayers went unanswered. Now the god of fire and war, Balthazar, has made an unexpected return, only to reveal himself as a ruthless manipulator with little regard for mortal life. Tyria's heroes thwarted the first stage of his catastrophic plan to destroy the Elder Dragons—but now he's raised a zealous army to cut a path of terror and destruction across the south. You must halt their march before Balthazar sets the foundations of the world ablaze. Balthazar threatens the Crystal Desert and adjoining kingdom of Elona with his Forged legions. Explore vast new maps filled with magic-drenched desert plains, ancient temples and ruins, and beautiful oases. Uncover the secrets of Tyria's history, and discover the fate of the Elonian people after years of silence. Mounts are far more than a speed boost—they're a whole new way to explore the world of Tyria. Unlock and train your new companions using the max-level Mastery character progression system, and explore freely by leaping across canyons, bounding up high cliffs, and skimming over quicksand. Continue to evolve and customize your level-80 character with a new elite specialization for each profession. With a new variety of playstyles, weapon choices, and traits to choose from, there are more options than ever to play your way. Discover and earn treasures as you journey through the Crystal Desert. Outfit your character with new armor sets, skins, and weapons inspired by Elonian culture and the heritage of the desert. Collect and upgrade armor sets and weapon skins that reflect the beauty, magic, and history of the desert. Kick off challenging boss events whenever you're ready to take them on. Everyone can join the hunt! Claim a beautiful new home for your guild and live like Elonian nobility. 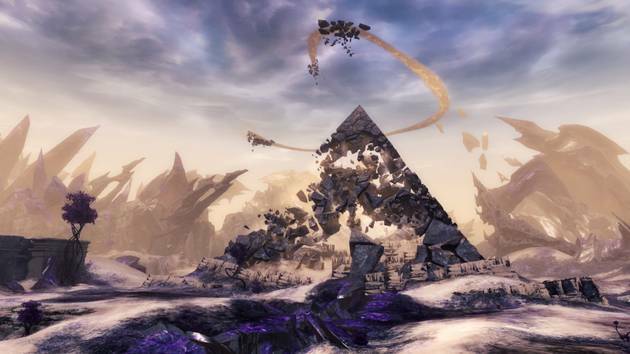 *Players must own Guild Wars 2: Heart of Thorns to claim and fully upgrade their guild hall. Looking for Heart of Thorns? You can add it during checkout and purchase both expansions together.